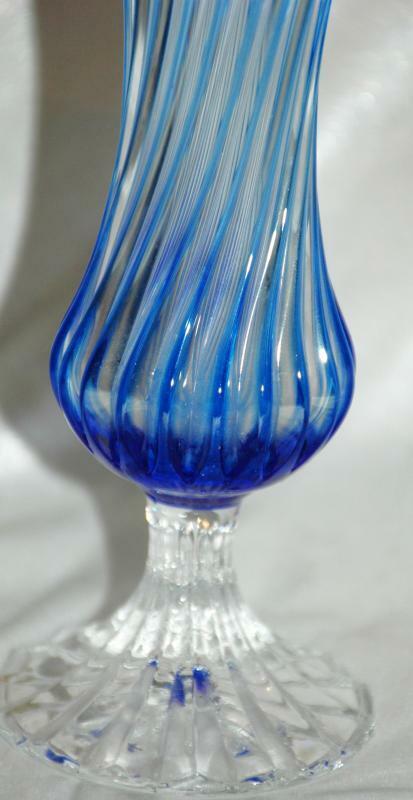 Very lovely Blue Cut to Clear Twisted Footed Glass Ruffle Vase . It is 8.75" tall. The cuts that are vertical twist around in a spiral that terminate below where the ruffle started. The clear foot is ribbed. The intensity of the blue varies depending on the light. 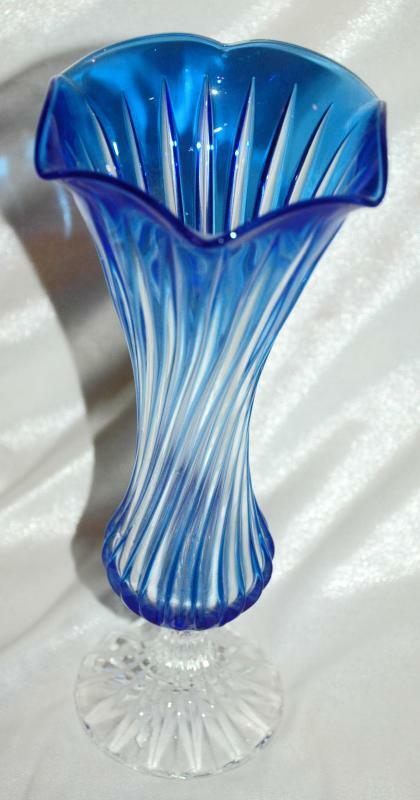 The vase is unsigned and I don't know the maker as it was an estate sale find. The condition is excellent. 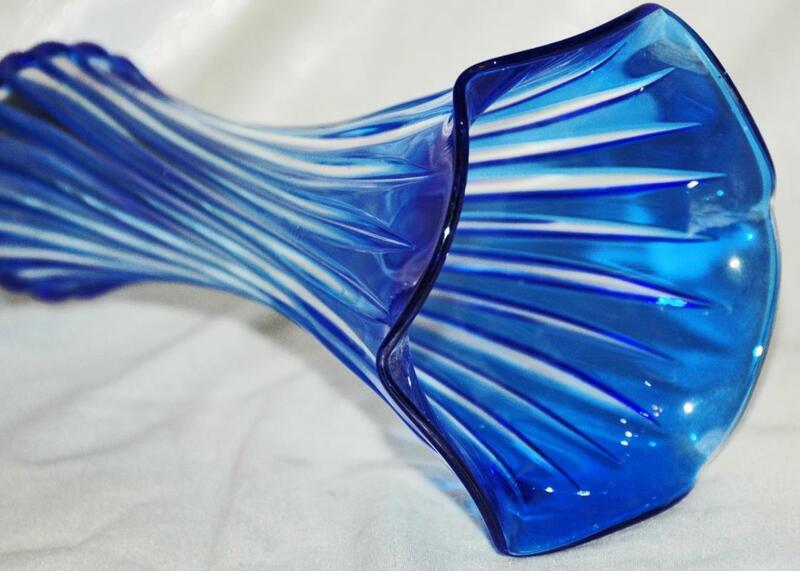 Items Similar To "Blue Cut to Clear Twisted Footed Glass Ruffle Vase"